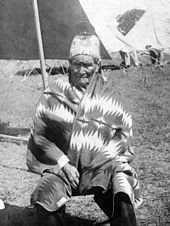 Geronimo ( Mescalero-Chiricahua: Goyaałé [kòjàːɬɛ́] "the one who yawns"; June 1829 – February 17, 1909) was a prominent leader and medicine man from the Bedonkohe band of the Apache tribe. From 1850 to 1886 Geronimo joined with members of three other Chiricahua Apache bands—the Tchihende, the Tsokanende and the Nednhi—to carry out numerous raids as well as resistance to US and Mexican military campaigns in the northern Mexico states of Chihuahua and Sonora, and in the southwestern American territories of New Mexico and Arizona. 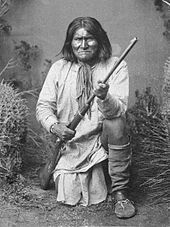 Geronimo's raids and related combat actions were a part of the prolonged period of the Apache–United States conflict, which started with American settlement in Apache lands following the end of the war with Mexico in 1848. At the end of his military career, he led a small band of 38 men, women, and children. They evaded thousands of Mexican and American troops for over a year, making him the most famous Native American of the time and earning him the title of the "worst Indian who ever lived" among white settlers. According to James L. Haley, "About two weeks after the escape there was a report of a family massacred near Silver City; one girl was taken alive and hanged from a meat hook jammed under the base of her skull." His band was one of the last major forces of independent Native American warriors who refused to accept the United States occupation of the American West. 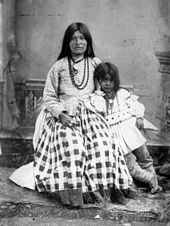 While Apaches were shielded from the violence of warfare on the reservation, disability and death from diseases like malaria was much more prevalent. On the other hand, rations were provided by the government, though at times the corruption of Indian agents caused rationing to become perilously scarce. Rebelling against reservation life, other Apache leaders had led their bands in "breakouts" from the reservations. On three separate occasions — August 1878;   September 1881;  May 1885  —Geronimo led his band of followers in "breakouts" from the reservation to return to their former nomadic life associated with raiding and warfare. Following each breakout, Geronimo and his band would flee across Arizona and New Mexico to Mexico, killing and plundering as they went, and establish a new base in the rugged and remote Sierra Madre Occidental Mountains. In Mexico, they were insulated from pursuit by U.S. armed forces. The Apache knew the rough terrain of the Sierras intimately,  which helped them elude pursuit and protected them from attack. The Sierra Madre mountains lie on the border between the Mexican states of Sonora and Chihuahua, which allowed the Apache access to raid and plunder the small villages, haciendas, wagon trains, worker camps and travelers in both states. From Mexico, Apache bands also staged surprise raids back into the United States, often seeking to replenish his band's supply of guns and ammunition. In these raids into the United States the Apaches moved swiftly and attacked isolated ranches, wagon trains, prospectors, and travelers. During these raids the Apaches often killed all the persons they encountered  in order to avoid detection and pursuit as long as possible before they slipped back over the border into Mexico. 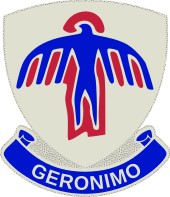 The "breakouts" and the subsequent resumption of Apache raiding and warfare caused the Mexican Army and militia, as well as United States forces to pursue and attempt to kill or apprehend off-reservation "renegade" Apache bands, including Geronimo's, wherever they could be found. 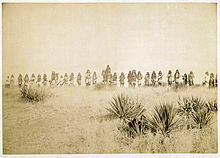 Because the Mexican army and militia units of Sonora and Chihuahua were unable to suppress the several Chiricahua bands based in the Sierra Madre mountains, in 1883 Mexico allowed the United States to send troops into Mexico to continue their pursuit of Geronimo's band and the bands of other Apache leaders. 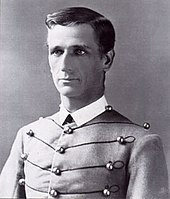 The United States Army operating under the command of General George Crook successfully utilized scout/combat units recruited from among the Apache people and led by American officers. These Apache units proved effective in finding the mountain strongholds of the Apache bands, and killing or capturing them. It was highly unsettling for Geronimo's band to realize their own tribesmen had helped find their hiding places. 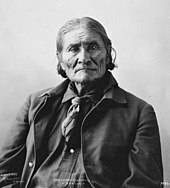 Over time this persistent pursuit by both Mexican and American forces discouraged Geronimo and other similar Apache leaders, and caused a steady and irreplaceable attrition of the members of their bands, which taken all together eroded their will to resist and led to their ultimate capitulation. During the three days of negotiations, photographer C. S. Fly took about 15 exposures of the Apache on 8 by 10 inches (200 by 250 mm) glass negatives. 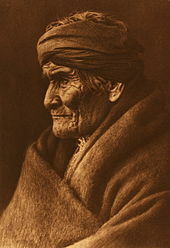 One of the pictures of Geronimo with two of his sons standing alongside was made at Geronimo's request. Fly's images are the only existing photographs of Geronimo's surrender. His photos of Geronimo and the other free Apaches, taken on March 25 and 26, are the only known photographs taken of an American Indian while still at war with the United States. Among the Indians was a white boy Jimmy McKinn, also photographed by Fly, who had been abducted from his ranch in New Mexico, September 1885. 1971: Elton John's song " Indian Sunset" features a lyric by Bernie Taupin that erroneously suggests Geronimo was gunned down by the United States Cavalry while in the act of surrendering. 1996: Geronimo is mentioned in " If It Makes You Happy" by American musician Sheryl Crow. 2009: "Geronimo" by Lorne Greene, a bonus track on the 2009 edition of the album " The Man".